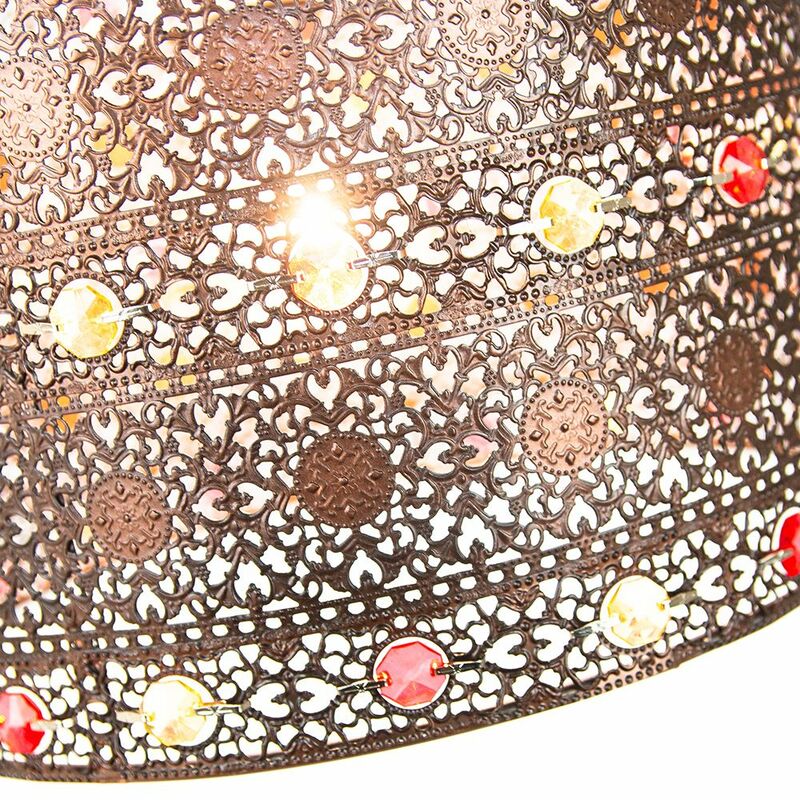 Traditional and Moroccan designed unique easy fit pendant light shade with antique bronze plated finish. 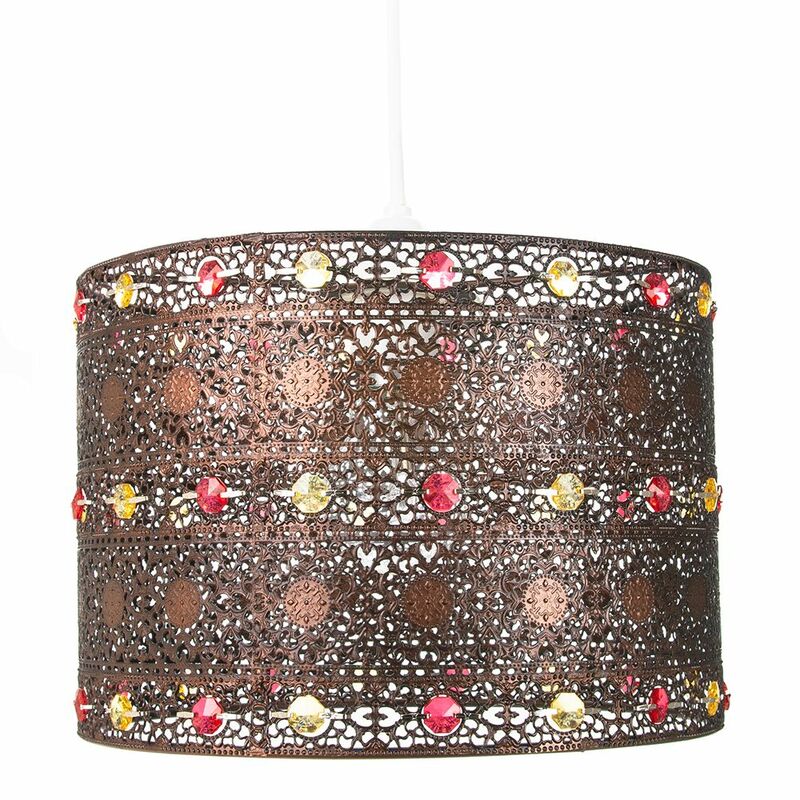 Features multiple small circular decorative transparent and amber acrylic beads which give off an eye-catching crystal glass effect. Total product dimension: Height - 17cm, Width - 24cm, Depth: 24cm. Maximum wattage allowed is 60w. 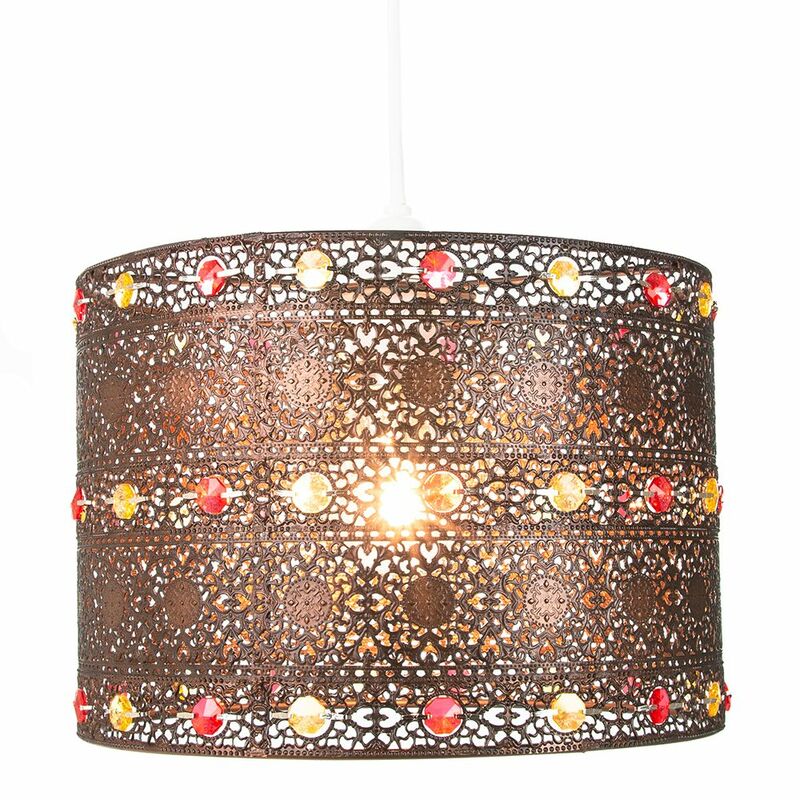 Please note that ceiling rose and cable is not included - pendant shade only.